July 7, 2017 — I’m not a Fourth of July kind of guy. No good reason, really. Red, white, and blue just feel gaudy to me. Fireworks are fantastic in the moment, but over the decades I’ve found less and less motivation to search them out. And focusing on the founding of the country gives me sweaty flashbacks to wearing fake-powdered wigs during third-grade plays in elementary school gymnasiums. To me, the Fourth of July is mostly the last retail holiday before Halloween. And maybe an excuse to watch Jaws. So a couple of hours before evening set on the Fourth of July, we just took off for a drive. We happened to be in that weird patch of Maryland that’s just a few steps away from Virginia, West Virginia, and Pennsylvania, and ended up at the Washington Monument. No, not that one. I’m talking about the first Washington Monument ever completed in this country. It’s made of rough gray stone, is shaped like Pooh’s honeypot, and is about 30 feet tall. And it’s in Boonsboro, Maryland, right near Antietam National Battlefield. On July 4, 1827, the residents of Boonsboro were, like, the opposite of me in Paragraph 1. They were fired up for land and liberty. So much so that they marched en masse to the top of South Mountain, fifes a-blowin’, drums a-beatin’, and flags a-wavin’, and just about finished the monument in a single day. They dedicated it to the first president of the United States, who’d been deceased almost 30 years at that point. Incidentally, work on the “other” Washington Monument didn’t start until about two decades later. 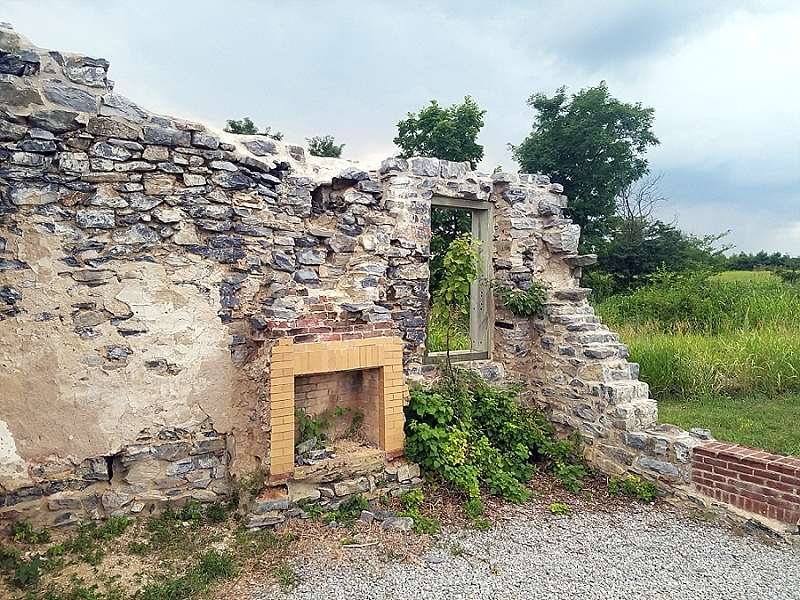 The lesser known and more columnar Washington Monument in Baltimore was started in 1815, so 12 years before Boonsboro, but that one wasn’t completed until two years after the Boonsboro monument. I guess for a second there, we were worried we’d forget about old George. 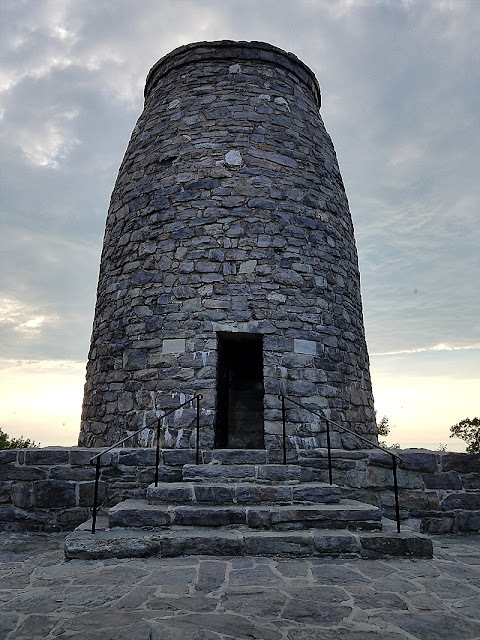 Over the decades, the monument has been restored and rebuilt due to the ravages of time, weather, vandalism, and that one instance, I was told by a trustworthy-seeming Boonsboro resident who showed me a photo of the damage, a father dynamited it because his daughter was meeting a boy there. View from the base of the tower. 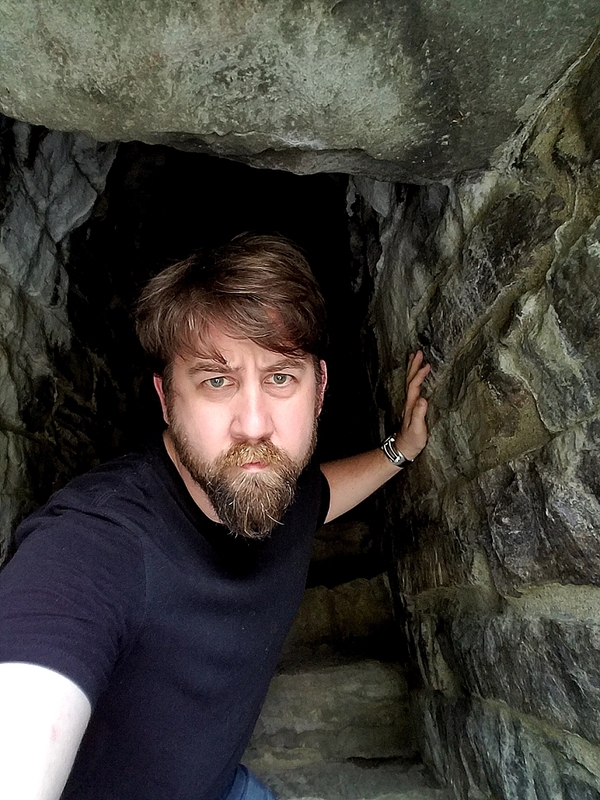 A set of stone stairs inside the bulging tower twisted through darkness to the top, where the view feels more heady, not so much because you’re 30 feet higher up, but because the observation deck atop it is not much bigger than a closet floor. A pair of placards pointed out items of interest in the view, including, off in the misty distance, the states of Pennsylvania and West Virginia. 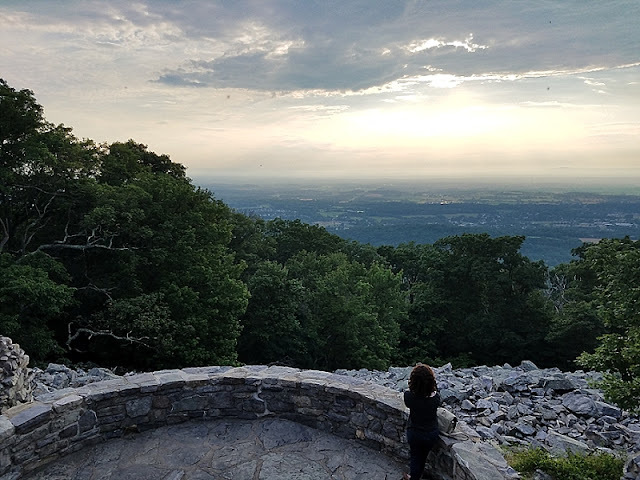 If you’re lucky and visit in the right season, you might see a bald eagle winging its way across the vista and croaking out that terrible racket it makes that needs to be replaced by more majestic-sounding birds when it’s used in movies. We saw a crow. Even thought we were standing atop a tower 190 years old to the day, we were almost alone. Only two other people crowded atop the tower with us, in what seemed to be a relatively awkward date that could’ve used some dynamite. We thought about enduring the awkwardness and hanging around to see the view at sunset, maybe even seeing some fireworks from this vantage, but since it was 8 pm and the sun didn’t set for another hour in this latitude and longitude, we decided to see what else we could find on the nation’s birthday. 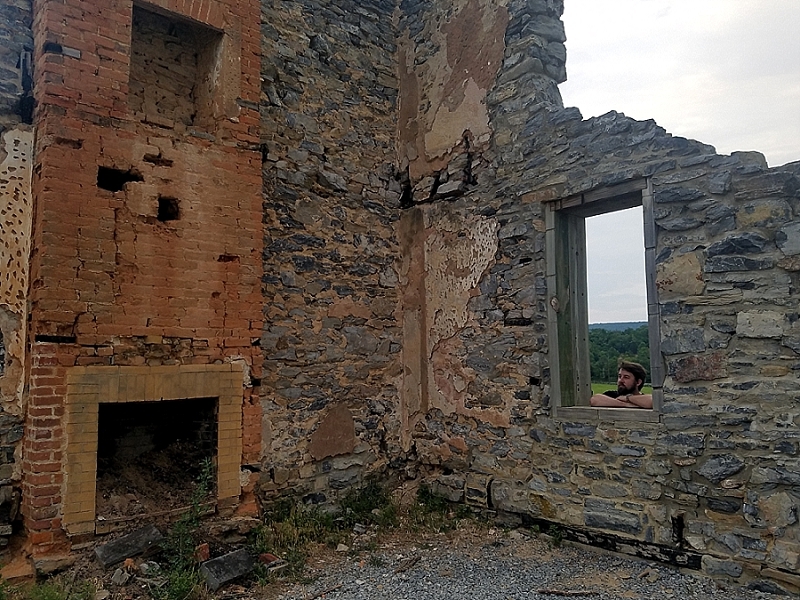 So we jetted west to wander some of the Civil War battlefields in Harper’s Ferry, West Virginia. 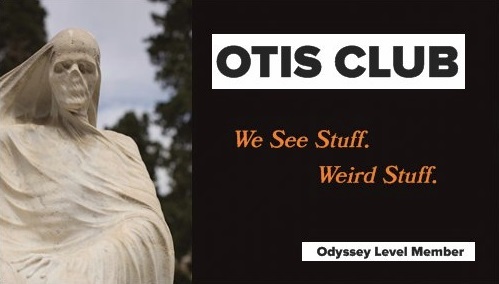 It’s something we’ve done before. 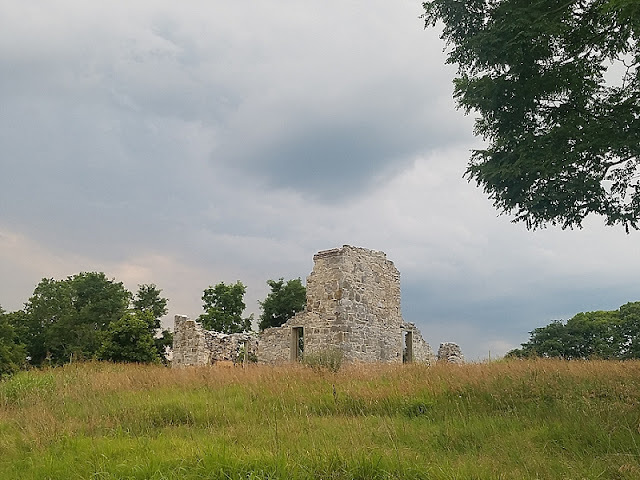 This time we found both old and new ruins along School House Ridge. 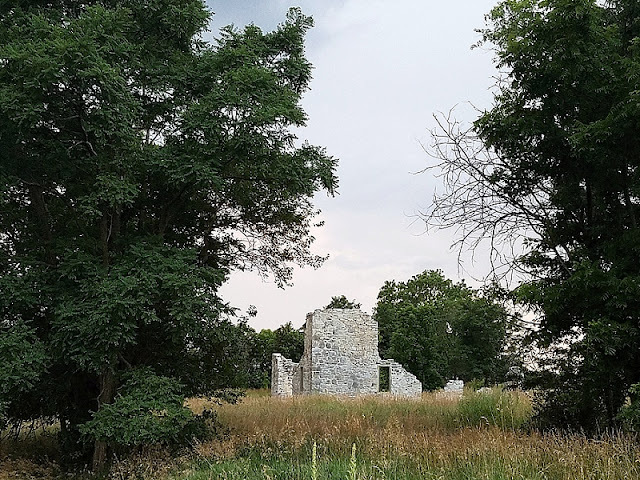 Neither were labeled with historical placards, but the older ruins looked like a crumbling homestead straight out of a Caspar David Friedrich painting—you know, had the leafy boughs of the landscape around it been naked and threatening instead. The newer ruins were completely enwreathed in a thick copse of trees and undergrowth. 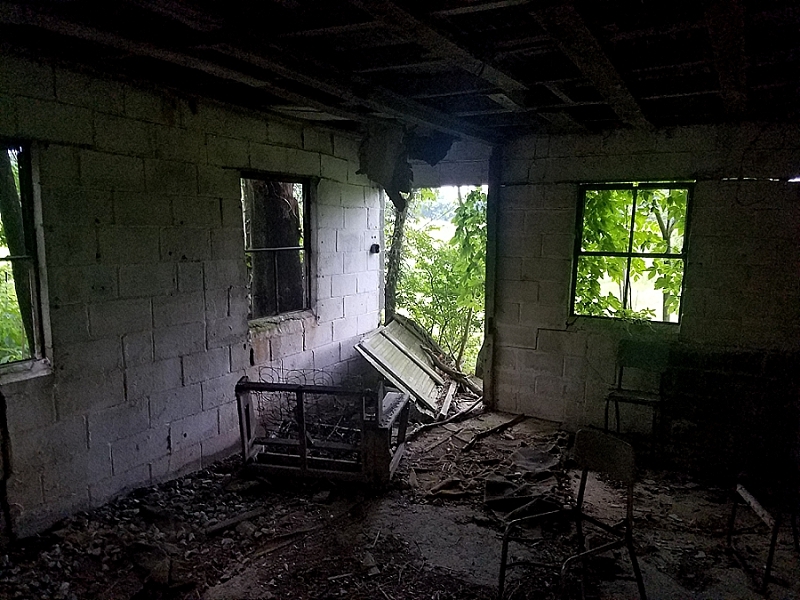 After I scratched my way in, I found myself in a single-room structure, the mossy cinderblock walls and the skeletons of old chairs telling me little about its past life. It wasn’t until after I left the ruins that I saw the “Danger, Ruins: Do not Enter” sign completely submerged in foliage like Bugs Bunny had hidden it to trick Elmer Fudd. 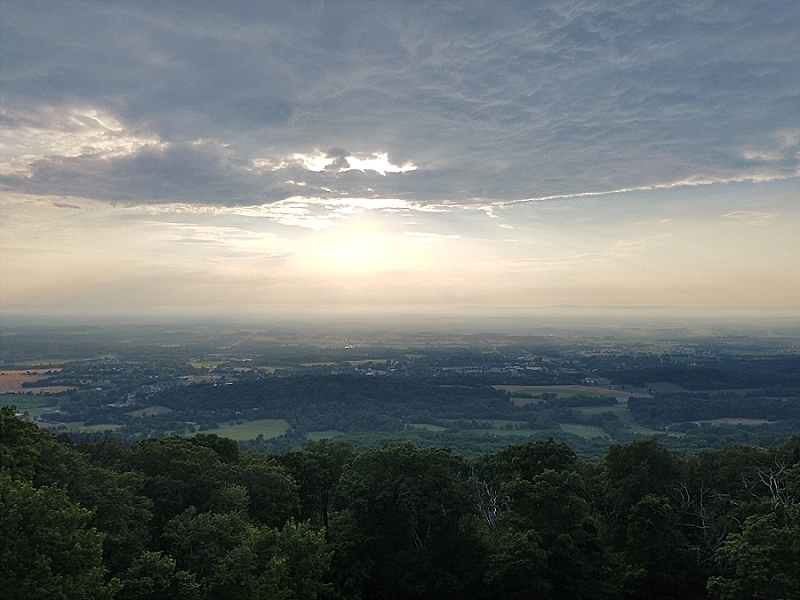 Soon, the sun got low and the clouds grayed into light rain, and we headed back home to listen to unseen fireworks boom and blitzkrieg around the house from the surrounding towns and neighbors. Happy belated birthday, Country. Hope you got my e-card.